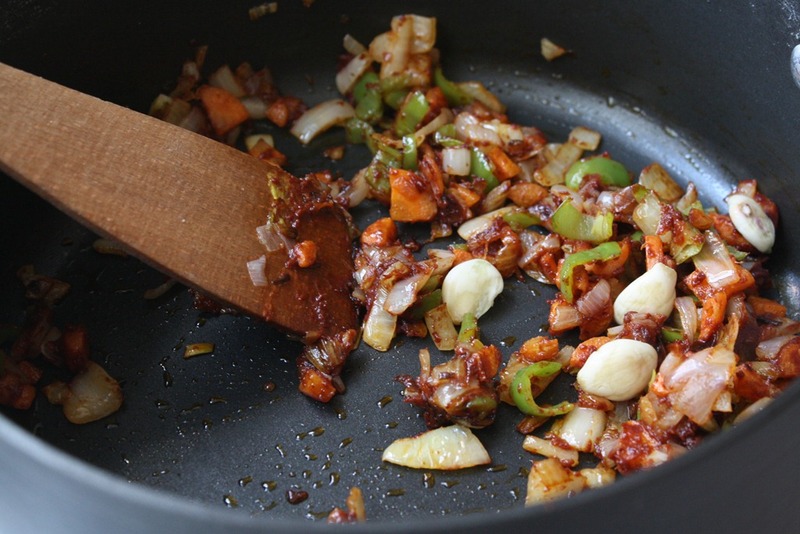 My dad is visiting me these next two weeks, so we’re making some of his favorites. 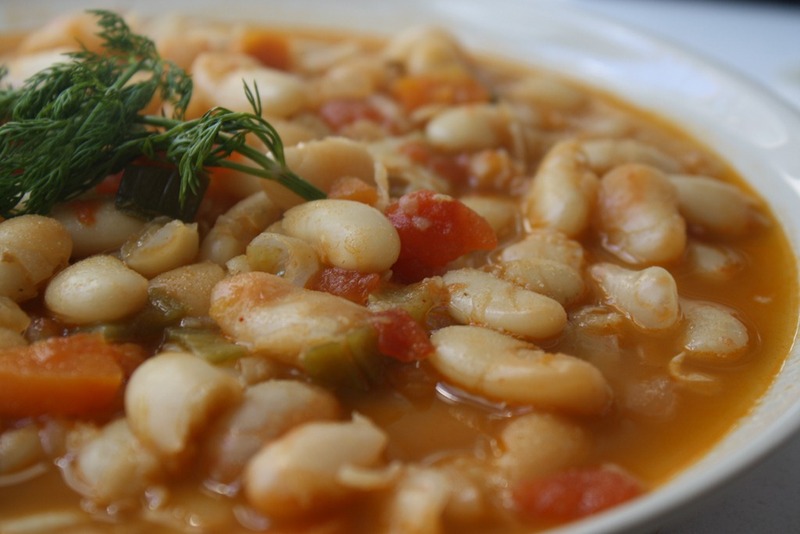 Today, it’s all about the white bean soup. 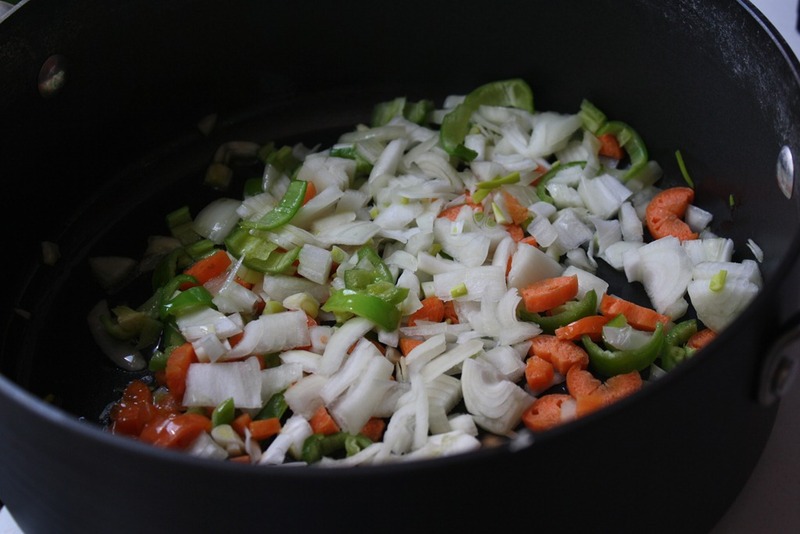 This soup is light but satisfying, which is the name of the game in this here glow kitchen. 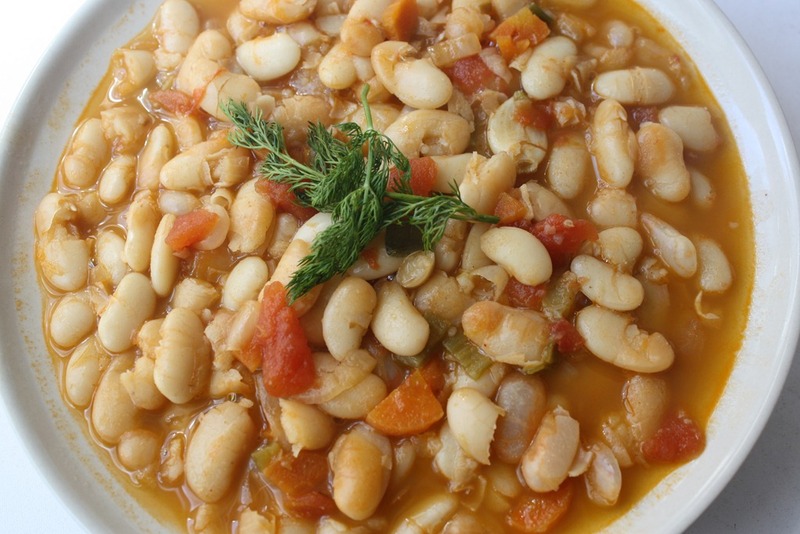 While there are veggies in this dish, we don’t overload on them so that the white beans can shine. 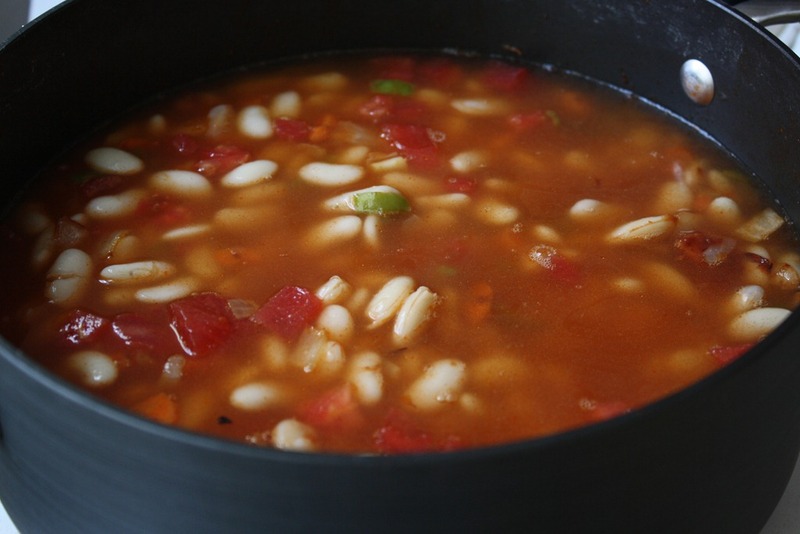 This soup is best served aside or atop rice. 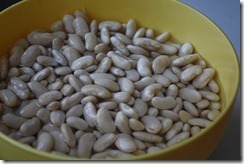 Soak 1 cup of dry beans in a bowl with water. 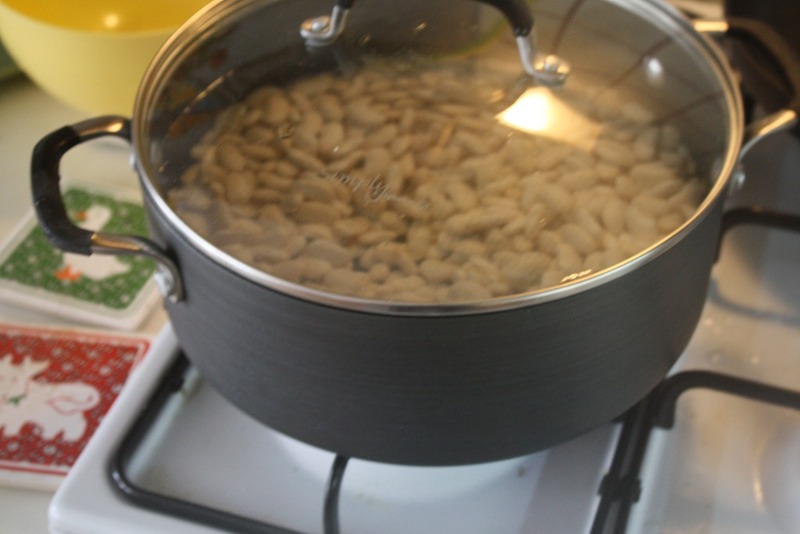 Let soak overnight, rinse, then put in a medium size pot with enough water to leave one inch between the surface of the beans and the top of the water. Boil for about 5 minutes. 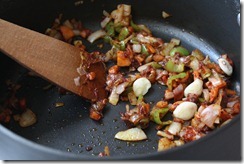 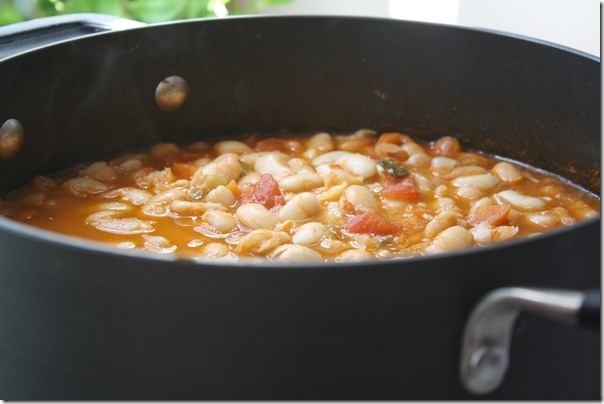 You are not cooking the beans entirely through, since they will cook in the soup later. 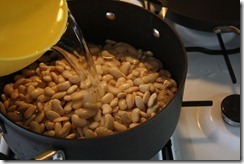 This just gives them a head start. 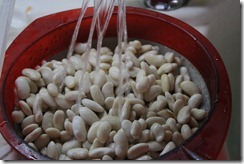 Drain the beans before preparing the base of the soup. Chop the carrot, onion, pepper, and tomato. 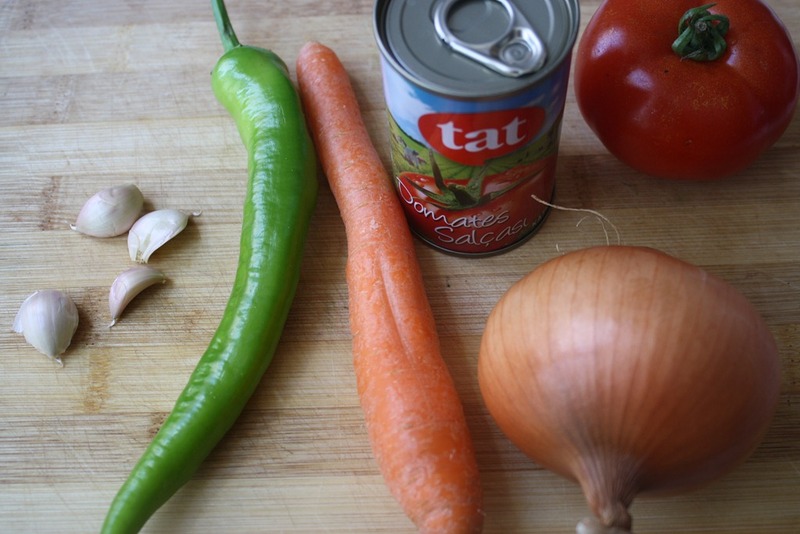 Sauté the all the vegetables but the tomato and garlic in a pot with one tablespoon of olive oil, salt, pepper, paprika, and cumin over medium heat. 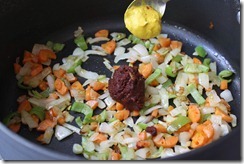 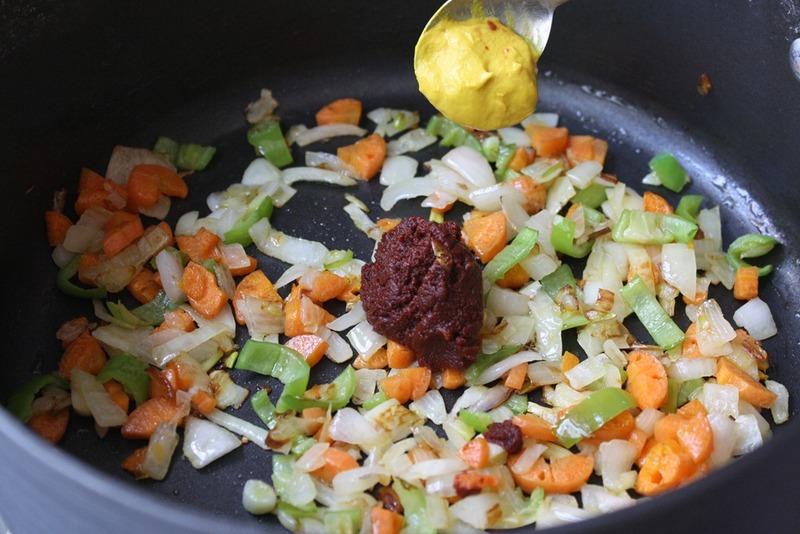 Just as the onion begins to turn translucent, add the heaping teaspoon of tomato paste, a teaspoon of mustard, and four garlic cloves (peeled, mashed, but not chopped). 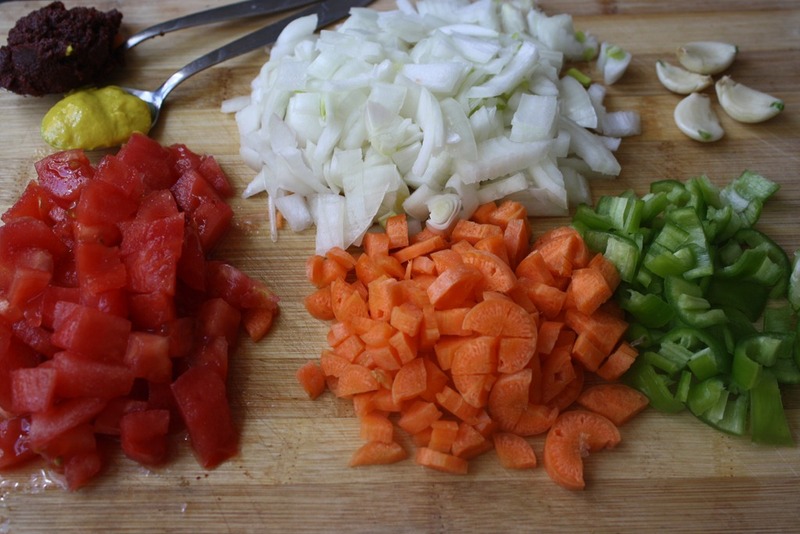 Mix until thoroughly combined. 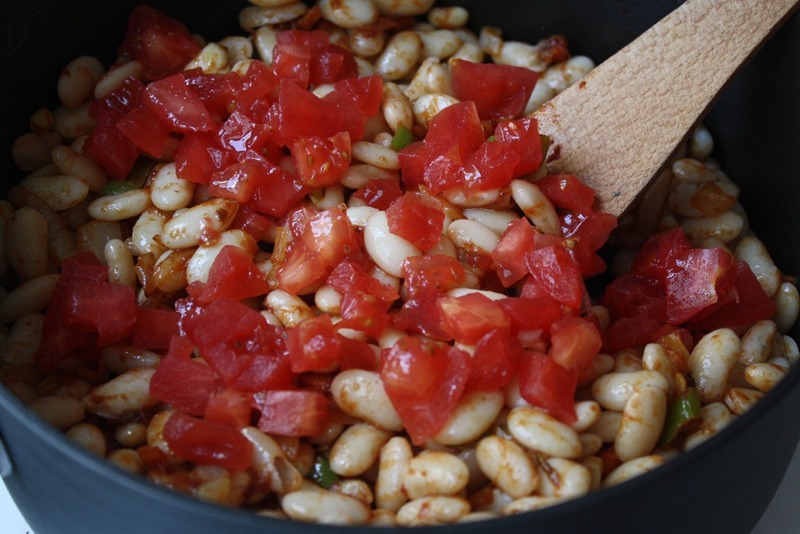 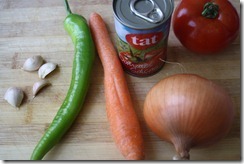 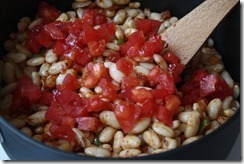 Add the white beans and tomato. 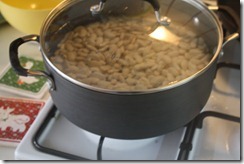 Stir until combined thoroughly. 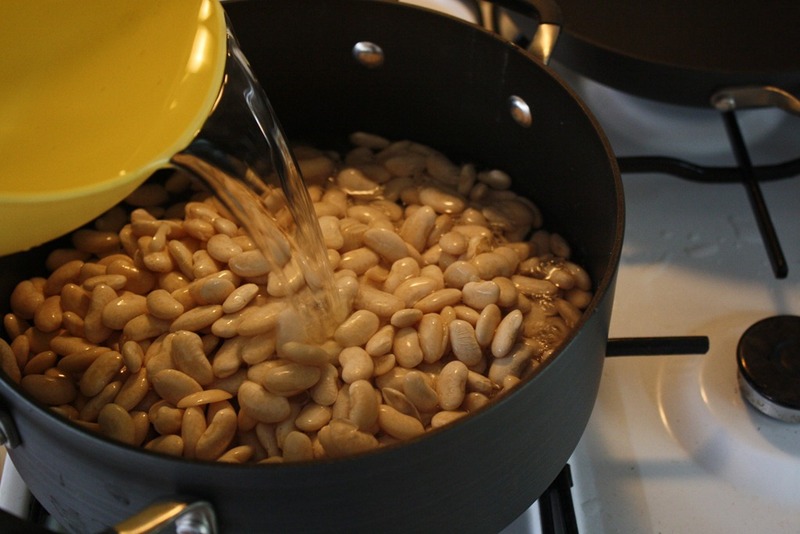 Next add water, about four cups of water, or enough until there is an inch from the top of the bean mixture and the top of the water. 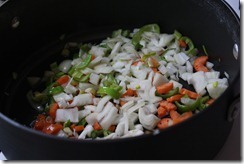 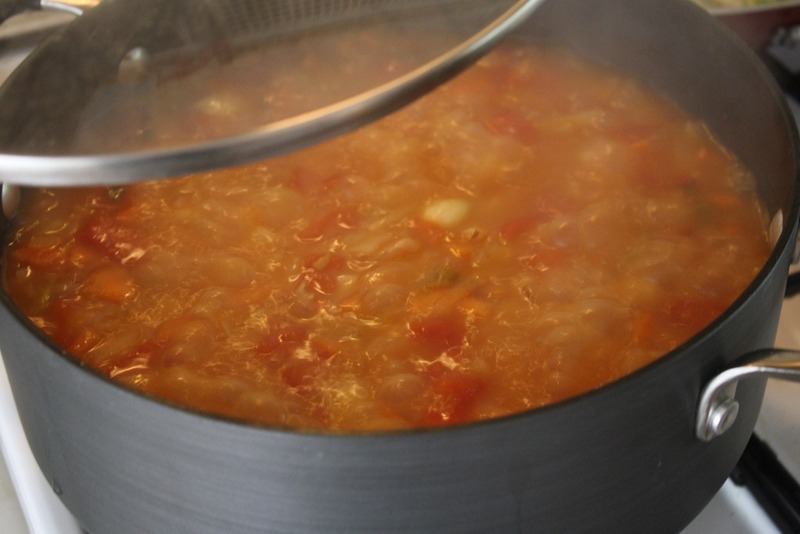 Bring to a boil and then reduce to a simmer for approximately 30 minutes. 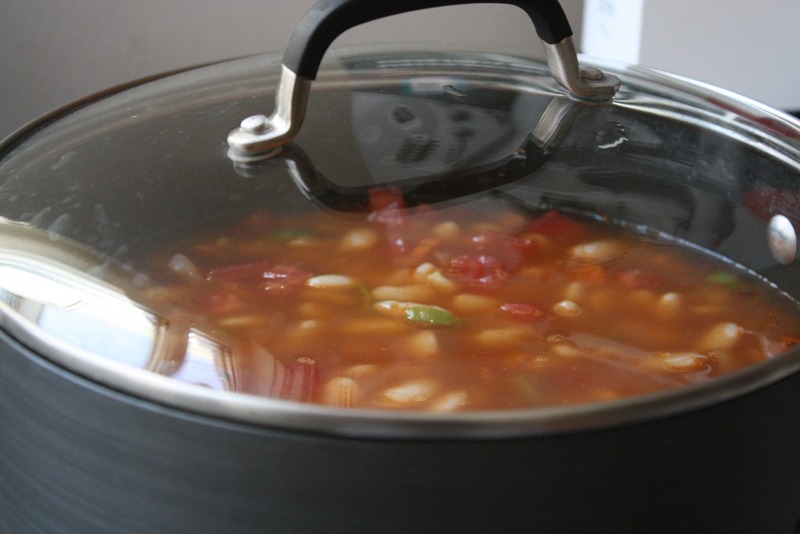 Add additional water, 1/2 cup at a time, if the beans and vegetables are absorbing too much water or too much has evaporated. 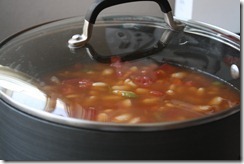 You want the soup to retain some of its liquid. 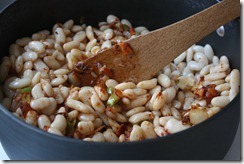 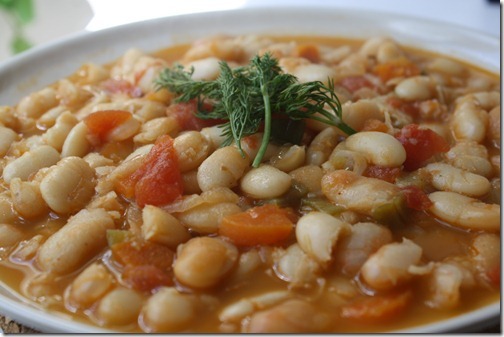 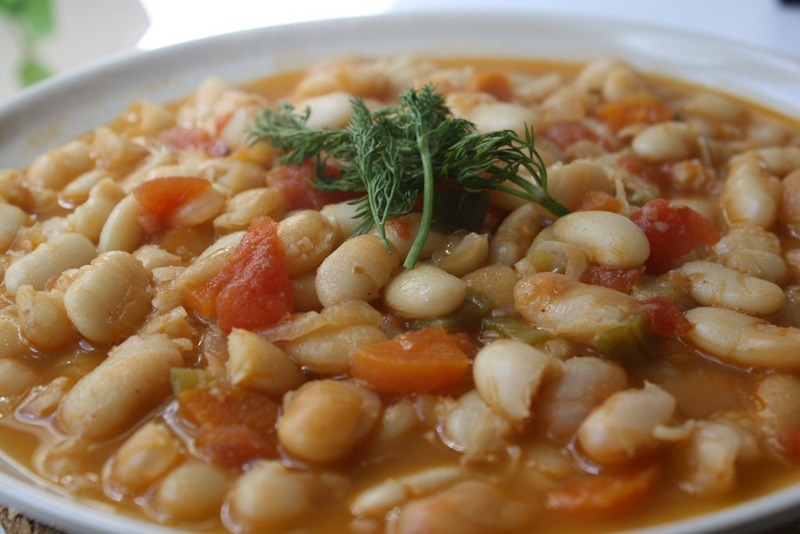 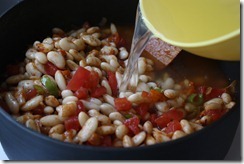 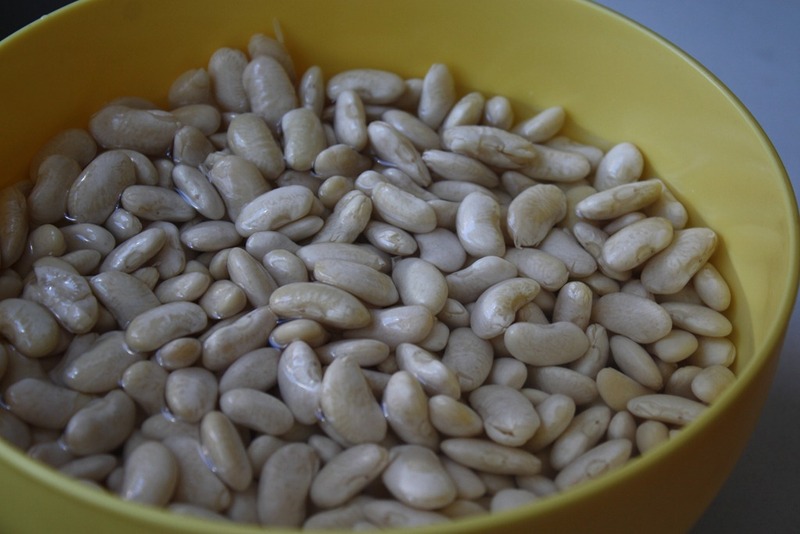 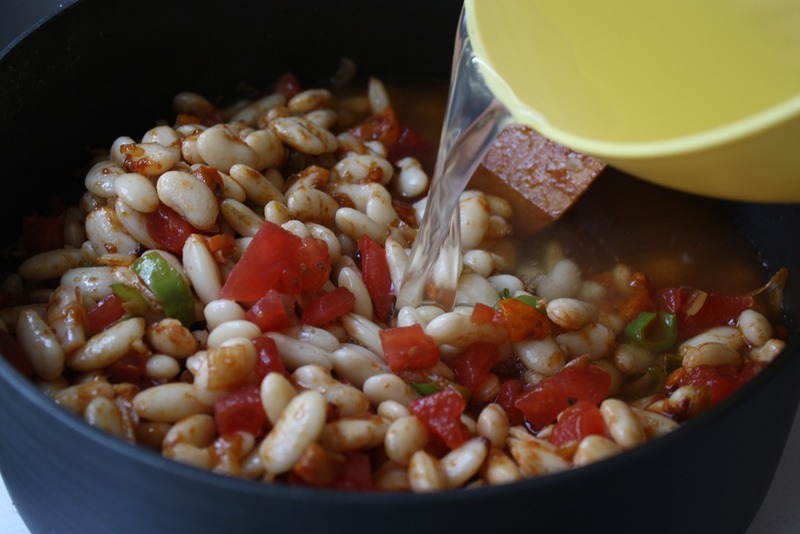 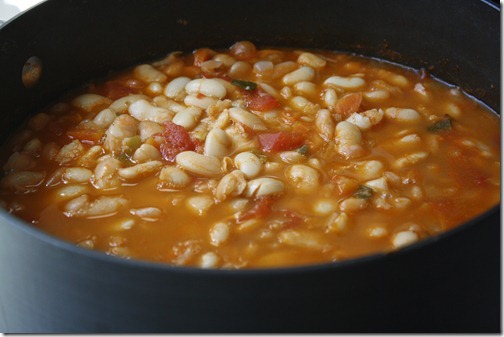 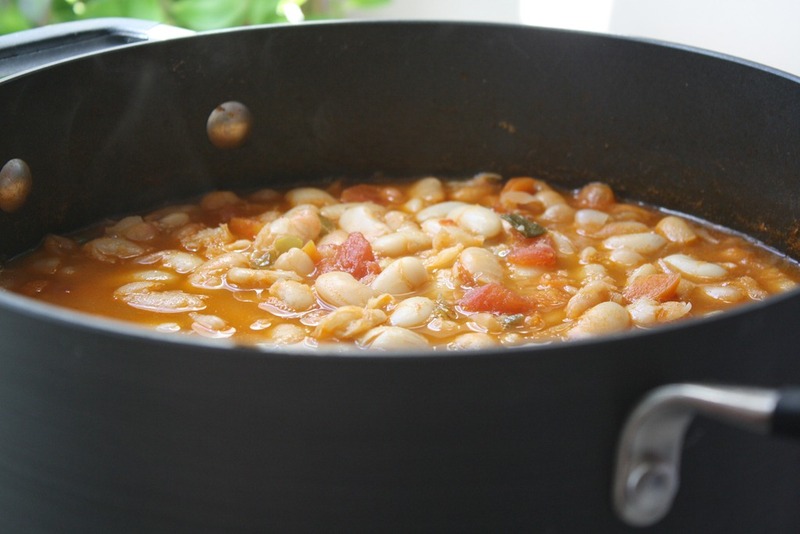 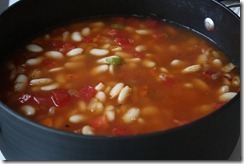 When finished, the white beans should be tender and the broth fragrant, steaming, and perfectly seasoned. 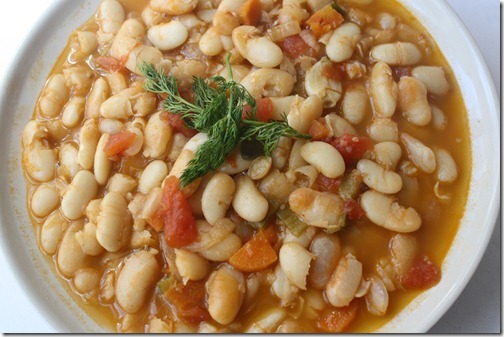 Serve with a garnish of fresh dill or parsley, which add a delightfully aromatic touch. 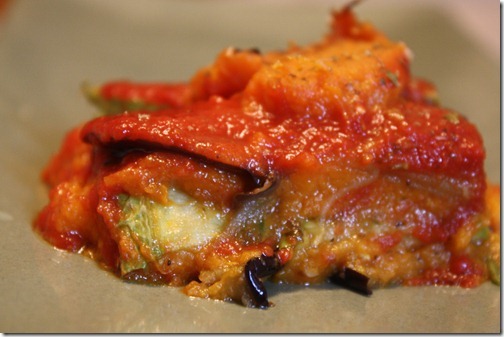 Enjoy this protein-packed, healthy, and filling dish!